1 New England Ancestors Magazine, 2002, Vol. 3.5, p. 35, New England Historic Genealogical Society (Online Database). 2 New England Historical and Genealogical Register, (New England Historic and Genealogical Society), 1982, Vol. 136, p. 322. 3 Jones, Emma C. Brewster, The Brewster Genealogy, 1566-1907: A Record of the Descendants of William Brewster of the "Mayflower" . . ., Vol. 1, New York: The Grafton Press Genealogical Publishers (1908), 40, 57-59, Internet Archive (Digital Library). 4 Merrick, Barbara Lambert and Scott Andrew Bartley, Mayflower Families Through Five Generations: Vol. 24, Part 1, William Brewster, Plymouth, Massachusetts: General Society of Mayflower Descendants (2014), 252. 5 Merrick, Barbara Lambert, comp., Mayflower Families in Progress: William Brewster of the Mayflower and His Descendants for Four Generations, 3rd edition, Plymouth, Massachusetts: General Society of Mayflower Descendants (2000), 40, 115-116. 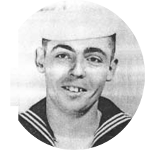 6 Roberts, Gary Boyd, "#48 Royal Descents, Notable Kin, and Printed Sources: The Ancestry of Novelist Thomas Pynchon", (accessed 11/28/2018), New England Historic Genealogical Society (Online Database). 7 Roberts, Gary Boyd and William Addams Reitwiesner, American Ancestors and Cousins of The Princess of Wales, Baltimore: Genealogical Publishing Co., Inc. (1984), 36, Ancestry.com (Online Database).